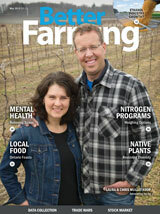 AgMedia Inc. is an Ontario-based and privately-owned publishing company. We focus exclusively on the Ontario agricultural community, with industry magazines, trade show guides, custom publishing and database services. In 2016, Farms.com acquired Ag Media Inc. The acquisition will complement Farms.com’s expanding portfolio of products and services for the agriculture and food industries. 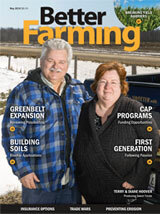 Better Farming, the biggest and best magazine for Ontario's business farmers, was launched by AgMedia in 1999, and continues the proud tradition of editorial excellence of its predecessor, Farm & Country magazine. Better Farming's professional approach to ag journalism sets us apart and defines our service to Ontario's commercial farmers. Read more about Better Farming Magazine's roots. 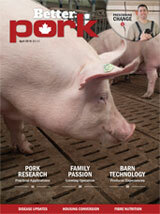 Better Pork is the only publication to reach the complete and current list of Ontario's pork producers. Our "Pork News & Views" magazine section ensures that Better Pork is the industry's authoritative publication of record. BetterFarming.com is the Ontario agricultural community's most timely and trusted source for industry news and information. We offer a complete online source for breaking news, insightful analysis, farming tips, shopping, online education and community interactivity.